Professional networking is an art if you do it really well. Successful networking requires patience, optimism, constant nurturing and relationship building over time. 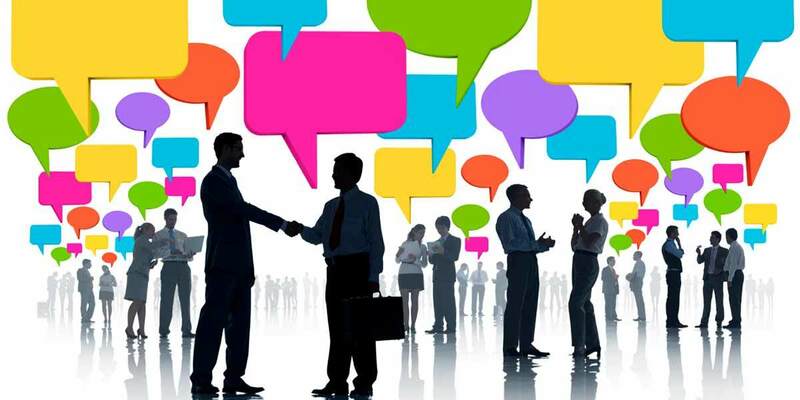 I have gained several new clients at JenniferGrantInternational.com from my networking efforts and I do my utmost to refer and recommend others that I meet at networking events. One big thing I have learned is that opportunities from networking itself don’t always materialize immediately after meeting someone. The fruits of networking can take weeks, months or even years after first meeting someone for that special opportunity to present itself. Don't get discouraged, just keep networking. One of the best ways you can improve your networking skills is to study other business people who are highly skilled at networking. Trust me, there are a lot of professional networkers out there and I study them too. A Kelowna business leader who inspires me with her networking talents is Nikki Csek owner of Csek Creative and president of the newly launched Kelowna's Premiere Referral Group. Here are some Do's and Don'ts when it comes to networking that I hope will be some help to you. It is easier to approach others and begin conversations at the beginning of a networking event rather than arriving late when most attendees are already engaged in conversations. Arriving ontime shows respect for the event planners and other attendees. Yes you could be watching Netflix but if you are committed to growing your business, networking is very important. No one is going to sell you better than yourself so make a commitment to network with a purpose. You can catch up on Netflix over the weekend. The minute you arrive at your networking event people will be sizing you up and deciding whether you are someone they want to chat and or do business with. You should smile, engage, shake hands and maintain a confident posture and pleasant demeanor. Many networking events are after business hours but you should still be appropriately dressed in business attire. You want to be given every opportunity to showcase how brilliant, professional and charming you are so dress to impress. Anticipate the kind of people you are likely to meet and think about what you would like to ask them and what you would like to learn from them. Yes, you can Google people and their professions/businesses ahead of time. Chances are they will have done the same to check you out. Come prepared with a compelling and easy to understand self-introduction. "Hello, I am Peter Smith and I am an IOS developer." Sounds impressive but what does an IOS developer mean to the average person? Be quick, concise and accurate when describing your business. The first step in holding a productive networking conversation is providing a new contact with information about your professional background and goals in a quick and effective manner. Knowing how to properly introduce others will be noticed and make you stand out as a socially savvy individual. Responding to introductions requires more than a "Hey," or "Hi" in the professional world. "Hello or Good morning/ afternoon or evening is the correct and professional way to respond. Always be prepared for a handshake by knowing how to handle your cocktail utensils, carry your beverage and/or cocktail plate, along with a napkin in your left hand. Make sure that you wipe your finger tips on your napkin before shaking hands. Making small talk is not only essential for networking, but it is considered an important executive skill. The more you practice, the more proficient you will become at it. Approaching one person who is not already engaged in a conversation is ideal. Approaching a group may seem challenging to you, but if you take the plunge, it will be worth the effort. Simply extend your hand, and say, "Hello, I am Wendy Sullivan. May I join you?" Be sure to shake hands with everyone in the group so that no one feels left out. Make sure you have more than enough business cards with you as they are a great way to exchange details, as well as allowing you a way of reconnecting the following day. If you exchange cards with a person who seems genuinely interested in helping you, or if you have promised to help someone, be sure to follow up in a timely manner. It shows that you are someone who can be counted on to do what he/she says. Being trustworthy is a highly valued trait in the business world. You cannot expect to get something without offering anything in return. Offer free help, favours, advice or reduced cost services. Take time to compose yourself before you make your entrance. Your entrance is your first opportunity to make a good impression. Enter the room, move off to one side so that you are not blocking the entrance, and survey the room for a few minutes. Once you have spotted the key people you plan to meet, off you go. Networking isn’t just for the flamboyant big-shots and charismatic types. Believe in yourself and what you have to offer and challenge yourself to meet new people. Everyone is nervous about appearing ignorant or stupid but there’s no need. The vast majority of people will relish the opportunity to share their knowledge and expertise, so make sure you ask as many questions as you can. This tactic is more likely to grate on people’s nerves than build valuable relationships. Being confident is one thing but overt self promotion is tacky. Especially at the more informal meet-ups, there is the chance alcohol will be served but beware that appearing and sounding intoxicated is the worst thing you could possibly do when you are making a first impression. Networking takes effort, time, patience and practice. Keep networking and enjoy the rewards you will reap. If you are new to networking or just want to refresh your networking skills, sign up for a workshop at Jennifer Grant International, we can help you network like a pro.